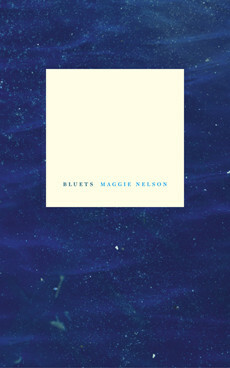 In an interview with Bomblog, Maggie Nelson says she began writing Bluets because she wanted to spend time thinking and writing about something she loved — in this case, the color blue — rather than something she found despicable and frightening. 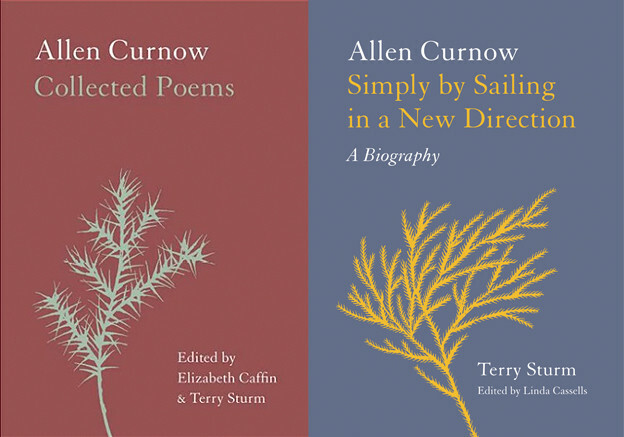 “But because I am who I am,” Nelson says, “or because pleasure is what it is, the book quickly slid into dealing with pain too.” Consequently, Bluets reaches far beyond the constraints of its subject, resulting in a series of delicately associative numbered paragraphs investigating a broken romantic relationship, a friend’s chronic nerve pain, the writing process itself, and the deceptive elements of perception and color. 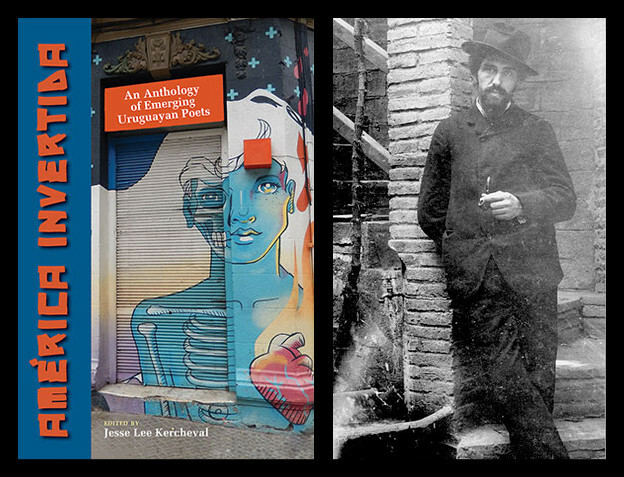 The result not only defies easy categorization, but also leans toward Walter Benjamin’s famous declaration that all great works of literature either dissolve a genre or invent one. Thus, the only way Bluets can accurately be labeled “essay” (as the back cover suggests), it is only in the context of that word’s formal definition, which is to make an attempt. Just as one of Benjamin’s general attempts was to suggest the profound connections between mysticism, materialism, and idealism, Nelson is attempting to connect diverse subject matter, while also creating a form which is not only conducive to her exploration, but generatively compatible as well. Additionally, Nelson’s awareness of form and elements of closure helped synthesize her various subjects. Nelson’s intense thematic engagement altered the very embryo of her project, which, in its final state, leans heavily on the structure of Wittgenstein’s Philosophical Remarks. For Nelson, as for Wittgenstein, the proposition is a discrete vehicle for thought experiments whose outcomes are proposed by the author, and then challenged in a way that suggests why the author’s or reader’s proposed outcomes may have been originally misguided. Bluets also supports Wittgenstein’s idea that it is impossible for a writer to say anything about the world as a whole, and that whatever can be said, can be said only in reference to its bounded portions. According to Wittgenstein, “Logic fills the world: the limits of the world are also its limits.” Therefore, according to Bertrand Russell in his introduction to the Tractacus, it is inaccurate to say, “There is this and this in the world, but not that.” Such a statement presupposes that one excludes certain possibilities to go beyond the boundaries of the world and to possibly contemplate these boundaries from the other. It is tempting, but ultimately problematic, to suggest that Bluets’ propositions are an attempt to create 240 “bounded portions” of the world, because the book also contains the negative space between propositions, which tends to further the idea that our experiences are never fully formed, but are instead open-ended experiments or investigations. This white space physically houses the unbounded portions of the world, each portion providing a silence during which one can begin to formulate relation. No matter what happens to our bodies in our lifetimes, no matter if they become like “pebble’s in water”, they remain ours; us, theirs. In one application, written and sent late at night to a conservative Ivy League university, I described myself and my project as heathen, hedonistic, and horny. I never got any funding. My blues stayed local. The instructions printed on the blue junk’s wrapper: Wrap Blue in cloth. Stir while squeezing the Blue in the last rinsing water. Dip articles separately for a short time; keep them moving. I liked these instructions. I like blues that keep moving. Yesterday I picked up a speck of blue I’d been eyeing for weeks on the ground outside my house, and found it to be a poison strip for termites. Noli me tangere, it said, as some blues do. I left it on the ground. Between the above sections, the importance of such failure is evident. If we read the transitions paratactically, that is to say, without connective clauses, phrases, or statements logically leading from one proposition to the next, then we realize the book’s lack of a narrative arc, which is a way of establishing an expected mode of closure; one wonders, therefore, whether the book could go on forever. Will Nelson conclude only once she has exhausted all the different ways in which the color blue can be investigated through the machine of the proposition? Will she finally reach some kind of emotional resolve around the broken relationship? Will she simply run out of blue factoids? Writing is, in fact, an astonishing equalizer. I could have written half of these propositions drunk or high, for instance, and half sober; I could have written half in agonized tears, and half in a state of clinical detachment. But now that they have been shuffled around countless times—now that they have been made to appear, at long last, running forward as one river—how could either of us tell the difference? Because Nelson’s propositions seem to represent a finite period of her life — the dimensions of which may have only arrived through the accumulation of day-to-day experiences filtered through a variety of linguistic, social, personal, and physical sensations — the governing principle for closure that seems most plausible is that this particular phase of Nelson’s life has reached its end. The ordering of Nelson’s propositions then, are paramount, and, when ordered most effectively, allow the reader to move inside the color blue, wandering through its terrors and sympathies while exploring its depths and hues with an awareness that is singular. There are no instruments for measuring color; there are no “color thermometers.” How could there be, as “color knowledge” always remains contingent upon an individual perceiver? This didn’t stop a certain Horace Benedict de Saussure, however, from inventing, in 1789, a device he called the “cyanometer,” with which he hoped to measure the blue of the sky. Though rare, there are moments when Nelson’s self-awareness gets the best of her. As if anticipating a critic inclined to dismiss the book as just another literary meditation on the color blue, in proposition 155 she writes: “It does not really bother me that half the adults in the Western world also love blue, or that that every dozen years or so someone feels compelled to write a book about it. I feel confident enough of the specificity and strength of my relation to it to share.” This and other overt and hyperaware affirmations temporarily draw the reader away from the core experience of the text which, in its finest moments, is like being led through a natural hot spring whose temperatures vary in accordance with the warm and cool water seeping out from tiny holes in the earth. Similar to the way a bather might experience these varying sensations, the reader fully immersed in this book (without those occasional moments of self-awareness) participates in the complementary pleasures of emotional and intellectual discovery while being led by an enlightened guide capable of weaving intensely private and painful experience. Not only that, but Nelson’s exhaustive research and earnest attempt at understanding crisis, longing, and redemption creates enough white space to allow readers to enter into her world, which, in the end, represents both the intimacy and distance that exists between all of us.